Pam Winter’s passion for enabling people to connect with and develop their creative potential comes from more than 20 years’ experience working in one-to-one counselling and facilitating groups in personal and professional development. The context for much of this work has been in further and higher education and social care. She managed a staff support service for public sector staff and became a freelance consultant in 2005, specialising in supporting and developing health and wellbeing in organisations and women’s leadership development. She is a one-to-one developer for Oasis specialising in education. Pam works with women managers and leaders on issues of confidence, work/life balance and developing strengths. She also works with organisations, including several schools in the North West, around reviewing and changing stress policies and practices and developing healthier organisations. She specialises in managing the psychological impact of change and workplace stress on staff wellbeing. 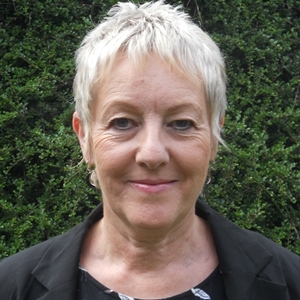 She is a Senior Accredited practitioner with BACP and has trained in coaching and OD. Pam offers effective ways of increasing resilience and resources regarding the impact of workplace stress so that you can reach your potential, and enable others to reach theirs in more holistic and creative ways. She uses a strengths based and collaborative approach in her OD and coaching work. Her background and experience brings in-depth psychological understanding to her One-to-one Development work so she can work with you in a safe and also challenging way towards the changes you want to make.